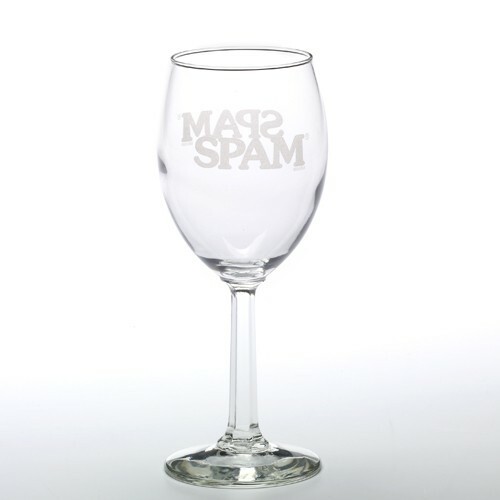 A classic wine glass with SPAM® Brand imprint on both sides. A great conversation starter. Holds 8-1/2 ounces. ***We are unable to ship this item to California.